The tomb of Sultan Selim II (reign 1566-1574) in which the Sultan, his wife Nurbana Sultan, along with other family members, including sons and daughters, are buried. It was the first tomb constructed in the Hagia Sophia cemetery. 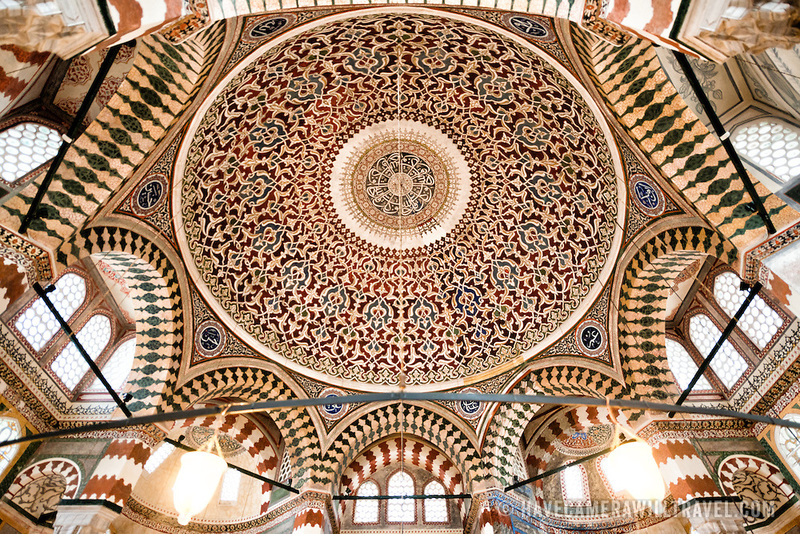 Designed by Architect Sinan in 1577, it features and octagonal plan with two domes and is decorated with Iznik tiles and calligraphy inscriptions. The cemetery of Hagia Sophia, next to the main building, contains five tombs belonging to Ottoman Sultans and their family members.